Authorities in San Francisco have charged the owner and a manager at a construction materials company with involuntary manslaughter and workplace safety violations in the death of an employee. The San Francisco Chronicle reports prosecutors charged Alfred Lee, owner of Good View Roofing and Building Supply Corp., and his manager, Alan Chan, in the death of forklift operator Hua Quing Ruan. Ruan was killed in November 2016, when he tried to jump to safety and was crushed as the forklift he was operating tipped over. Lee and Chan did not return phone calls seeking comment. Good View Roofing & Building Supply Co. was fined more than $62,000 for multiple safety violations related to the forklift accident, according to the California Division of Occupational Safety and Health. The state agency cited six violations, including failure to ensure the proper use of a forklift seatbelt, failure to ensure that the forklift operator was certified to operate it safely and failure to ensure that industrial ramps have at least an 8-inch curb installed along the open edges. 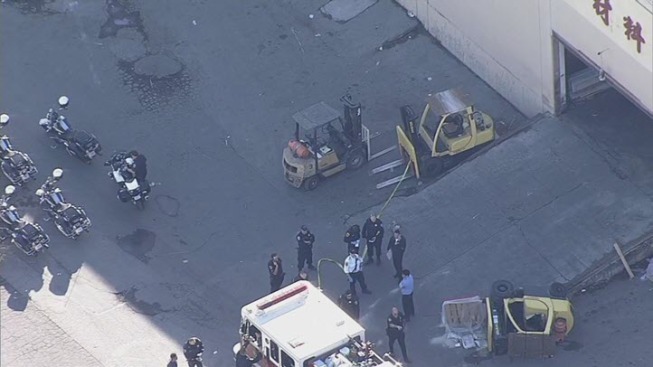 "This incident could have been prevented had the employer effectively evaluated the workplace for hazards, which would have identified the unguarded edge of the ramp that exposed the forklift to tipping," Cal/OSHA chief Juliann Sum said in a statement. Cal/OSHA encourages any employees with work-related questions or complaints to call the department's call center at (844) LABOR-DIR. Complaints can also be filed confidentially at Cal/OSHA's district offices.